Can E-Liquid Really Be Organic? Whether you’re a fervent foodie seeking assurances over the quality of your produce, or are an ethically minded individual keen to keep tabs on your carbon footprint, we live in a conscious time where the word ‘organic’ is ubiquitous and we Britons simply go gaga for it. In 2017 sales in the organic food and beverage sector rose by a staggering 6% to some £2.2bn, which is a figure only expected to rise further in the years to come. In addition to the organic bananas, coffee beans and quinoa that you might add to your shopping basket on a weekly basis, you may have also stumbled upon organic e liquid – let’s take a look at the buzz about organic e liquid and what it means. Why is E Liquid Organic? s long as the item in question is natural and hasn’t used any chemicals in the production process. E liquid is namely comprised of nicotine, water, flavourings and either Propylene Glycol (PG) or Vegetable Glycerin (VG) liquid and it’s the latter two ingredients that you should be looking out for to determine whether the e liquid you’re consuming is organic or not. The organic Vegetable Glycerin is derived from vegetables (as long as the required growing standards are met and certified) as opposed to its synthetic counterpart Propylene Glycol. Just because PG liquid is synthetic, doesn’t mean it’s dangerous – it’s just not organic. PG liquid is found in many household items including makeup, shampoo, baby wipes, and even inhalers. Whether you’re vaping a PG or VG based e liquid, does it even matter? Should it matter? Should Going Organic Matter to You? 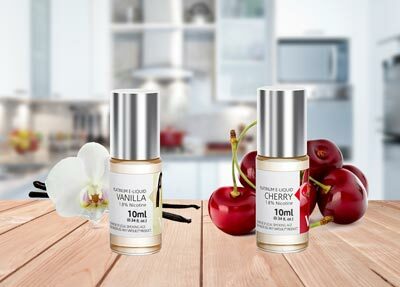 Depending on your disposition and inclination to lead as an organically led life as possible, the question of whether you should be vaping organic e liquid is, in the main part, a matter of personal preference and choice. However, there may be instances where vaping a 100% VG based e liquid is more of a logical choice, with allergies to PG liquid more common than you might think. If you’re suffering from sore eyes and mouth, nausea, wheezing or even experience an outbreak of eczema, the chances are that you’ll have an allergy to PG liquid. Switch to VSAVI’s 100% VG based e liquid and if your symptoms are alleviated, you’ll know which e liquids work for you and what to get in the future. More than just being an organic e liquid, VG based e liquids are the preferable option for those looking to create huge clouds of vapour from their e-cigarettes while Propylene Glycol is best used for those looking to simulate the throat hit you might get from smoking. Brands will often cater to both needs and combine PG and VG to create their e liquid. If you use a PG based e liquid and you enjoy the experience, then we suggest you stick with it. It’s more important to enjoy the vaping experience in order to remain smoke-free than it is just because you want to be organic.